Join IAAI today to take advantage of member-only rates on credential applications/renewals, receive Fire & Arson Investigator journal (Active, Associate, Life), access the exclusive member directory, receive discounts on IAAI ITC and in-person courses including IAAI’s exclusive Expert Witness Courtroom Testimony Course, and member benefits. Create your account first then under My Membership click on the Join/Renew link to join the IAAI and/or one of the Enhanced IAAI chapters. An Active Membership is available to professionals in good standing who are currently involved with a government entity or private business who is actively engaged in some phase of fire and arson investigation or the administration of justice. Professionals must be age 18 or over to qualify for Active Membership. Active Members have the right to vote on IAAI business and hold IAAI office. Persons who do not qualify for Active Membership may become Associate Members. Associate members have the privileges of an active member, except voting and holding IAAI office. Retired Membership is available to IAAI Active Members in good standing if the Member retires and is no longer actively working in any phase of fire and arson investigation or administration of justice. Retired Membership is also available to Members who are permanently disabled due to job related injuries. If a Retired Member becomes employed in fire investigation again, membership must be promptly upgraded to Active. Retired members cannot vote on IAAI business and are not eligible to hold IAAI office. Includes digital version of Fire & Arson Investigator journal. Not currently working in a paid position in the fire investigation field. Student Members cannot hold office or vote on IAAI business. Includes digital version of Fire & Arson Investigator journal. The individual must be or have been an active member of the Association. The individual must be an active member in good standing for a minimum of ten (10) years. The individual must have rendered distinctive service to the Association through participation on committees or activities for a minimum of five (5) years. Nominations for Life Membership for Distinguished Service are made to the Awards Committee, which reviews the nominations and make its recommendations to the Board of Directors. No more than two (2) Life Memberships for Distinguished Service are bestowed by the Board of Directors in any one calendar year. A Life Member has all rights and privileges of an Active Member without the payment of dues. The applicant should be of good moral personal character and reputation. The nature, character and reputation of the applicant’s business should be consistent with the IAAI Code of Ethics. The character and reputation of the applicant's employer and associates should be consistent with the IAAI Code of Ethics. The general nature, character and reputation of the principal business of the applicant’s employer and associates should be consistent with the IAAI Code of Ethics. No person shall be eligible for any class of membership if that person has been a member, or is presently a member, or becomes a member of a subversive organization or of any organization whose objectives and purposes are inconsistent with the purposes of the Association. Please consult the IAAI By-Laws for further specifics on the requirements for each membership level. 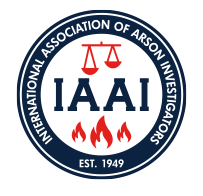 The IAAI is a worldwide organization of professional fire and arson investigators, and issues a rigorous and highly respected fire investigator certification, IAAI-CFI®. We stand behind our Code of Ethics and our conviction that we are truth seekers.